Before we jump in, let's examine why you would want to do this. 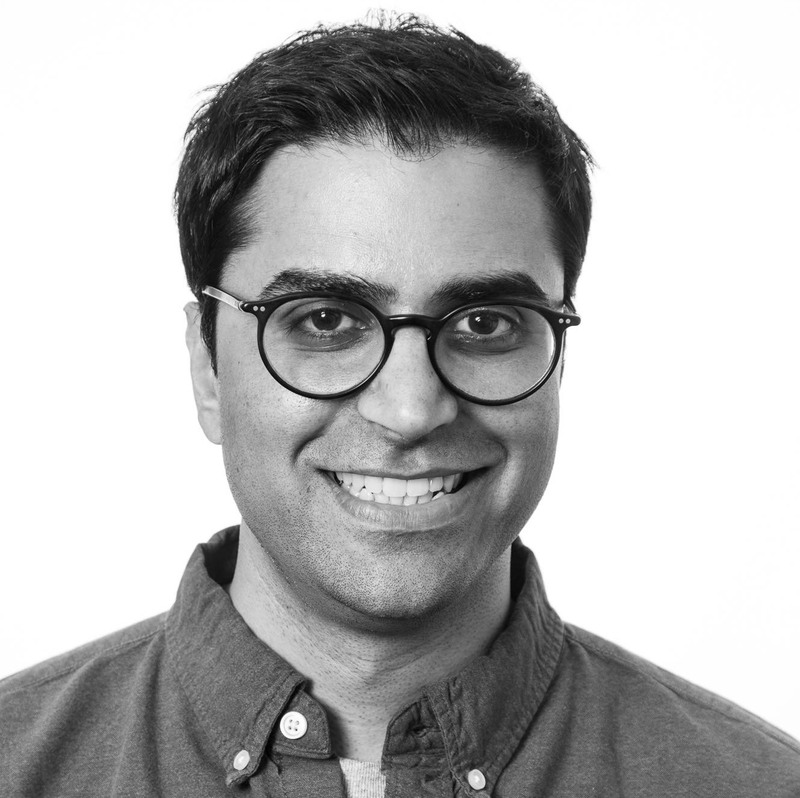 Since Varnish usually sits in front of the entire software stack, it has the ability to apply security and access policies more effectively, before requests even reach the backend*. Because Varnish is serving cached data, to maintain that high level of performance, we have to bring our security policies to Varnish. By doing so, we can distribute our Varnish nodes, i.e. content, closer in proximity to the users and still retain cache hit performance. This leads to lower response latencies and possibly greater user engagement and interaction. This kind of distributed positioning is called edge logic and embracing edge logic is key to achieving higher levels of performance, scale and security. Going back to how you accomplish this, Varnish Plus is the answer. Varnish Plus contains the tooling required to solve the problem of per-user security and access policies. We can use vmod_http to trigger out-of-band metadata fetches, vmod_edgestash and vmod_json to read and parse the JSON data, and vmod_kvstore to store user-specific metadata so it's accessible in VCL. 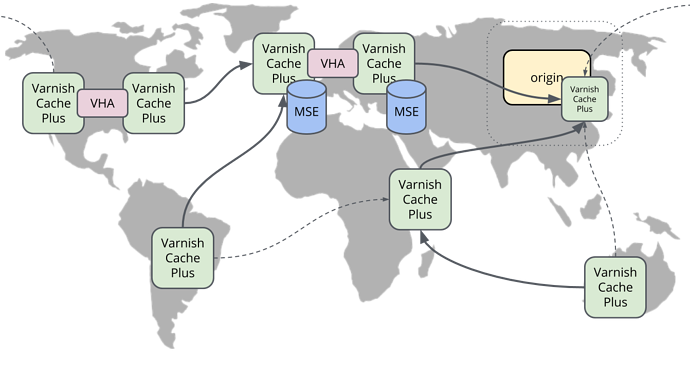 We can also leverage VHA to distribute the JSON data across a cluster of Varnish nodes, minimizing backend round trips. So in our example, we have a simple access control field, called type, and it contains the different user types: guest, user, premium, and admin. The idea here is that each of the different user types has different levels of access to content. That could be done with a different rendering of the content or by just blocking access to restricted content. This user type field is served from a backend API service as a JSON formatted payload. We also need to have some kind of client security built into our requests, and in this example it is done using plain HTTP cookies. VCL is only concerned about properly identifying users using an attribute which is consistent with our backend. This could be a session token or some kind of user identifier. We will not be performing any kind of actual authentication, we rely on the backend to do that. We are only concerned with correctly associating user identification in Varnish with backend user metadata. Finally, in this example, we will simplify the VCL a bit and ignore some corner cases for the sake of simplicity and illustration. At the bottom of this post is the full VCL with all considerations taken. Next we define a kvstore (line 11) to hold our JSON metadata. We also add a default entry to capture non logged in sessions as guests (line 14). We identify the user via a session cookie (line 24) and pull out their associated JSON data from the above kvstore (line 27). If the user does not have any JSON associated with them, we call a function to retrieve the JSON from the backend (line 30). This is done just to illustrate how we can serve multiple forms of content depending on the user type. Adding this field to the hash is easy, but will have a few negative side effects like a lower hit rate, larger cache footprint, and harder invalidation. A better way to accomplish this would be to have the backend return a Vary header on X-auth-type. Having the backend dictate access control on the content itself via response headers is the best approach here. The reason we go back through Varnish instead of pulling the JSON directly from vmod_http is so we can leverage VHA to replicate this data to other nodes. VHA will automatically replicate anything stored into cache. The above VCL will execute remotely on the replicated JSON, staging the data into the kvstore on all nodes. This means the user's access policy is ready and waiting in memory on all Varnish servers. Finally, we can also trigger an async JSON fetch, which will update the JSON without impacting user performance. This can be done after a successful access and we can even pass additional metadata to the backend if we wish to log the access for auditing or metering reasons. This will also refresh the JSON data with a new TTL. The JSON response to this async update will push through VHA and land on all Varnish nodes. The full VCL for this example can be found here. One of the things to highlight from this post is that the combination of VCL and VMODs gives Varnish Plus tremendous power when it comes to advanced caching policies and security. However, as with a lot of things in software, security and access control policies are never alike, especially across different organizations and companies. If you are interested in the ideas and concepts in this post, please do not hesitate in reaching out to us so we can provide more information into how Varnish Plus can be used to deliver and enhance your security and access control policies. * Access control and security in Varnish should coexist with and not substitute for actual backend security.